Six Senses Hotels Resorts Spas announced the latest addition to their portfolio, Six Senses Ibiza. Set to open in 2020, the resort is tucked away on the peaceful northern tip of Ibiza in the crystalline Cala Xarraca Bay. Six Senses Hotels Resorts Spas announced the latest addition to their portfolio, Six Senses Ibiza. Set to open in 2020, the resort is tucked away on the peaceful northern tip of Ibiza in the crystalline Cala Xarraca Bay. With its unobstructed westerly sunset views, dramatic rocky beach and picturesque seafront with yacht access, this full-service resort, spa and residential community dances to the beat of a new mantra: transformative wellness to nourish the body, mind and soul. Chief Executive Officer Neil Jacobs of Six Senses Hotels Resorts Spas said, "We're very excited to open our first resort, spa and residential project in Ibiza, a project that celebrates wellness, sustainability and community spirit. This third European property complements our sister resort in Portugal's Douro Valley, residential project in Courchevel, France and seven fabulous spas in France, Greece, Spain, Switzerland and the UK." 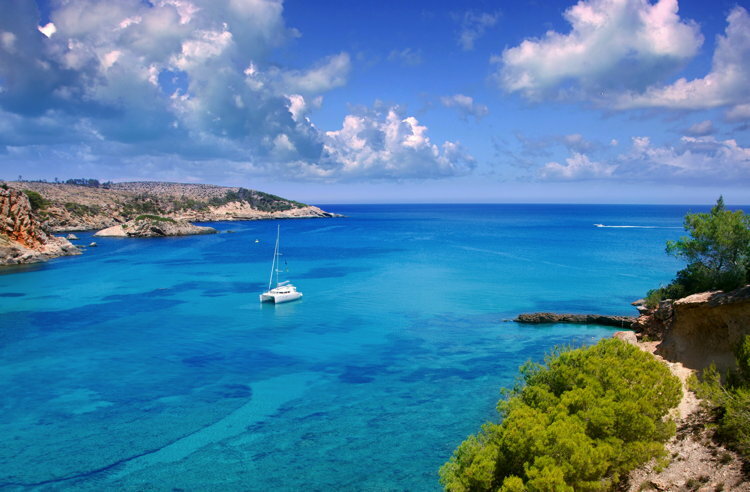 Six Senses has signed a management agreement with Beach Box Ibiza S.L. to open the resort in 2020 as a benchmark in innovative design, unique entertainment concepts and eclectic dining experiences. "We could not be more pleased to work with Beach Box Ibiza on this truly creative project," said Jacobs. Six Senses Ibiza will offer 134 guest accommodations across a 25-acre site including fully appointed Townhouse Suites, Deluxe Pool Suites with private decks, Beach Cave Suites and two extraordinary six-bedroom Mansions. Available for a handful of residential buyers are nine captivating private villas located above the resort with expansive sunset views. Every aspect of the property's physical design will facilitate the feeling of community and the activities and amenities offered to guests will focus on learning and experience. According to Jonathan Leitersdorf of Beach Box Ibiza S.L., the visionary behind the design and the development of the project, "Our vision is to capture the authentic Ibiza experience of community, spirituality and celebration to be delivered with top service, organic food and beverage, and luxurious accommodations for our guests. It will be the first full-service hospitality experience with rich amenities that are not yet offered on the island. Partnering with a world-class operator such as Six Senses, together we will deliver a resort and residential community for all ages, while promoting the importance of sustainability and healthy living." DINING - As with all Six Senses properties, destination dining is a memorable experience. At Six Senses Ibiza, there will be a social twist. Long communal dining tables will offer local produce and intermingling at The Market, open 24/7. The poolside offers a raw food organic bar with accompanying cocktails and organic beer. The tapas and barbecue seafood terrace of El Chiringuito sets a decidedly chill mood with live acoustic guitar and late night DJ. A popup restaurant in the resort's organic farm will also offer cooking lessons. Private dining will also be offered in suites as they all feature decks or private gardens. As with every Six Senses resort, an ice cream shop on wheels, inspired by a traditional street vendor's cart, will offer a spectrum of homemade chilled treats, juices and smoothies with a booster supplement menu. Are you with Six Senses? If you are a member of Six Senses you may be interested in learning how to optimize your content on our network.